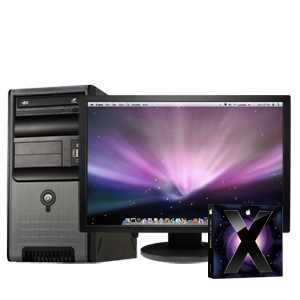 Psystar, the computer manufacturer of PC-based OS-X machines, had their claim against Apple Inc. for antitrust practices rejected by a US Federal Court. Psystar began selling their Mac cloned machines they call Open Computers that run Mac OS-X back in April this year. The company was relying on a loophole on the Mac OS-X’s EULA to allow them to install the operating system on their machines and sell the whole package. Nonetheless, of course, Apple sues them for copyright infringement. In retaliation, Psytar countersued and tried to prove to the court that Apple was in violation of antitrust laws. Unfortunately for Psystar, Judge William Alsup of the US Federal Court for the Northern District of California rejected Psystar’s claims that Apple is using anticompetitive practices to prevent other companies from selling the OS-X installed on other machines. Alsup rejected Psystar’s argument that the relevant market in this case consisted of a single product: Mac OS. "The pleadings…fail to allege facts plausibly supporting the counterintuitive claim that Apple’s operating system is so unique that it suffers no actual or potential competitors." Psystar still has 20 days to file another amendment to their complaint to convince the court that they have a better argument. If they fail to put a case against Apple, Apple will come down on them for copyright infringement and probably close Psystar down.